Lock in a great price for Catalonia La Pedrera – rated 8.4 by recent guests! 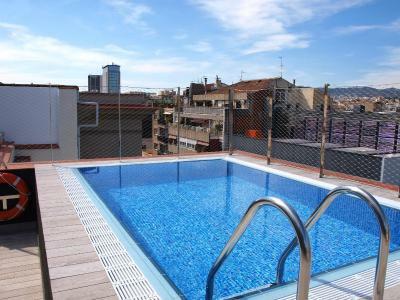 Good location, close to metro station Diagonal and Rodalies en Passeig de Gracia. Comfortable installation and good bathrooms. Personnel was very friendly. Good for kids. Centrally located. Walking distance to metro and many attractions. Eating choices limited. Rooms are small but comfy. The staff was very nice and accommodating. The rooms were clean and beds were comfortable. They stocked the rooms with free water, coffee and tea. The bathroom was stocked with all kinds of supplies. The mini bar was stocked as well. It was a surprisingly nice hotel. The bed and towels were comfy. I loved the shelves and spaces for stuff. Everything about this hotel was perfect. Great location. Very clean and comfortable. For being in the city it was extremely quiet. I highly recommend this hotel. Very comfy bed and clean room. Good air conditioning and staff very friendly. Didn’t eat the food so can’t comment. The terrace on the room was very big and comfortable even bigger than the room itself! 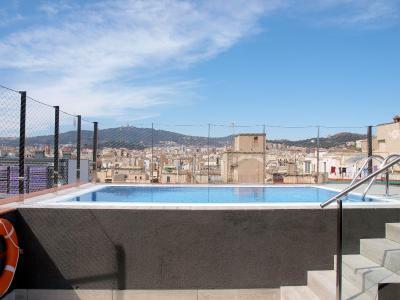 Catalonia La Pedrera This rating is a reflection of how the property compares to the industry standard when it comes to price, facilities and services available. It's based on a self-evaluation by the property. Use this rating to help choose your stay! 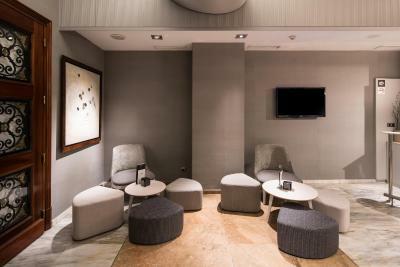 One of our top picks in Barcelona.This hotel is located next to Avinguda Diagonal and Passeig de Gràcia, ideal for shopping. 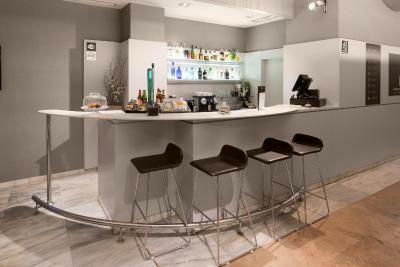 Guests can easily access Plaza Cataluña and the city’s historic gothic quarter. Free Wi-Fi is available. Located along the modernist route, Hotel Catalonia La Pedrera is surrounded by much of the interesting architecture that Barcelona is famous for, such as Gaudí and Domenech i Muntaner's key buildings, including La Pedrera. A set menu is available at the on-site restaurant; room service is also available. 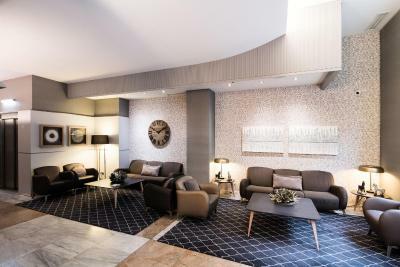 Guests can easily enjoy this cosmopolitan city as Hotel Catalonia La Pedrera is within walking distance of Barcelona’s many attractions. As well as the excellent public transport links providing swift access to the entire city and the surrounding area, the hotel offers great value for money. 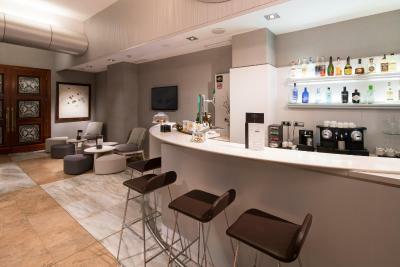 The hotel also includes meeting amenities and conference rooms available for business events and banquets. When would you like to stay at Catalonia La Pedrera? This spacious, fully equipped room includes a double bed or 2 single beds, a private bathroom, a TV, and a work desk. 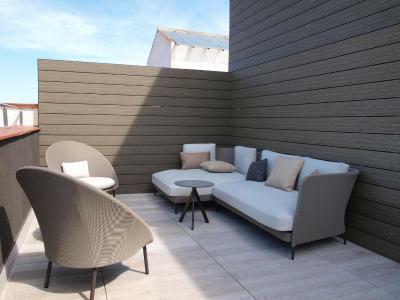 This spacious, fully equipped room includes a double bed or 2 single beds, a private bathroom, a TV, a work desk, and a private furnished terrace. This spacious, comfortable junior suite includes a private bathroom, a sitting area with 2 sofas, a TV, a work desk, and a large private terrace. This spacious, comfortable Premium Double room includes a private bathroom with bathrobe and slippers. There is also a satellite flat-screen TV, safe and a minibar. This spacious, fully equipped room includes a double bed and 1 single or 3 single beds, and a private bathroom. Each has a TV and a work desk. 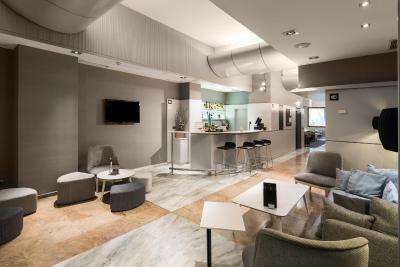 At the heart of the Barcelona emblematic neighbourhood called Eixample, in the middle of Modernism route, traveller will find this friendly and centrally located hotel, which is settled in a representative building of the area. It enjoys a smart design creating a harmony with its environment. Its rooms are equipped with all modern comforts, for any sort of traveller. It has a restaurant and a bar for guests’ gastronomic needs and a conference room is available for those travelling for business. Its medium size allows us to carry out our passion, which is to maintain a personal and closer treatment with our customers and make them feel at home. 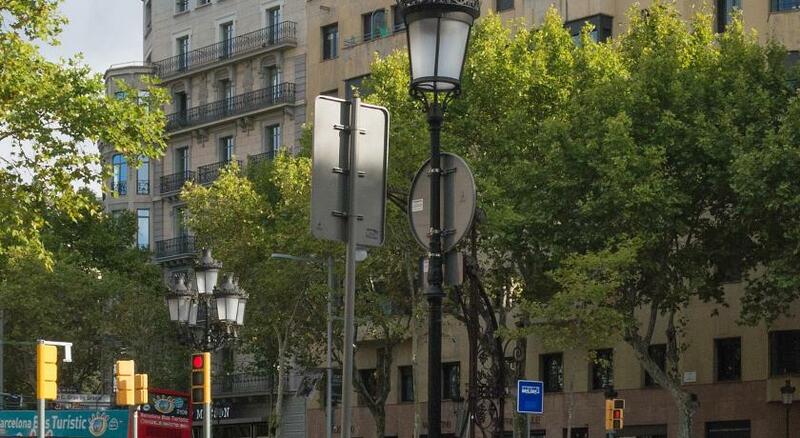 Its privileged location will allow the traveller to discover the many attractions that this wonderful city has to offer: the charm of the commercial area (very close to Passeig de Gràcia) and so magical places such as La Pedrera, Casa Batlló or Sagrada Família. 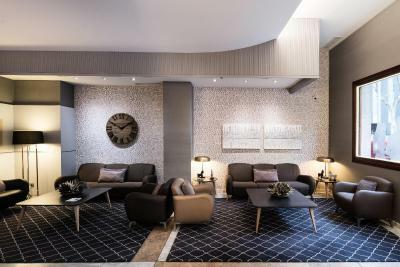 However, it is noteworthy that the establishment is not located in any crowded area, so both leisure and business travellers will find the necessary calm to relax and continue their journey. House Rules Catalonia La Pedrera takes special requests – add in the next step! Catalonia La Pedrera accepts these cards and reserves the right to temporarily hold an amount prior to arrival. Some rooms are specially designed for disabled guests. Please note that only 1 pet, dogs or cats under 20 kg, are allowed in the hotel and upon prior request. A deposit of EUR 200 is required upon arrival for incidentals. This deposit is fully refundable upon check-out and subject to a damage inspection of the accommodations. Cleaning of room was not great. I had 2 dirty glasses sitting on the night stand for a couple of days. Crumbs on the floor were not swept up. Dinner was not so good. Breakfast was good. Location was great. Nothing - will definitely stay again. Last minute booking requiring 3 rooms at 8pm on Easter Sunday due to a problem with our AirBnB. Staff were amazing on check-in and the complimentary upgrade made a good experience, great! Noisy location (works for repairing). Access cards are demagnetized very often. Bed linen and towels are changing very rarely (this is unforgivable) !!! Part of the staff was friendly, another part was not. Very good location. Quality Wi-Fi. Guess it was timing but price was high. Pool is almost mere formality. Was sold an upgrade but right next to noisy construction in neighboring room. If anything, it should’ve been discounted, not charged extra. The first floor is noisy. Very friendly and helpful staff. Great location. smell in the room. sewer smell. excellent location.... good hotel. great staff. I missed stuff to make tea or coffee at the room. The fridge made noise in the night. It’s in the center, with subway really close. The breakfast is good, the room was comfortable. The kindly give you chocolates and water.